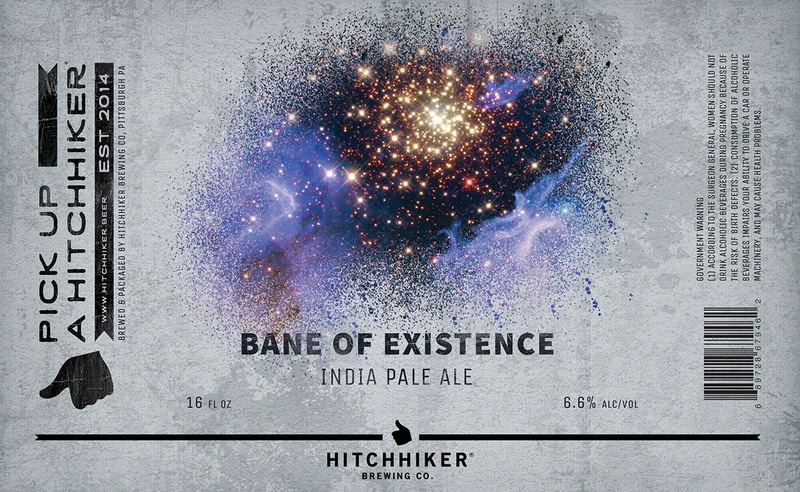 Bane of Existence | Hitchhiker Brewing Co. Brewed with oats. Hopped with Citra, Motueka, and Simcoe. Notes of passion fruit, melon, stone fruit, and mango.